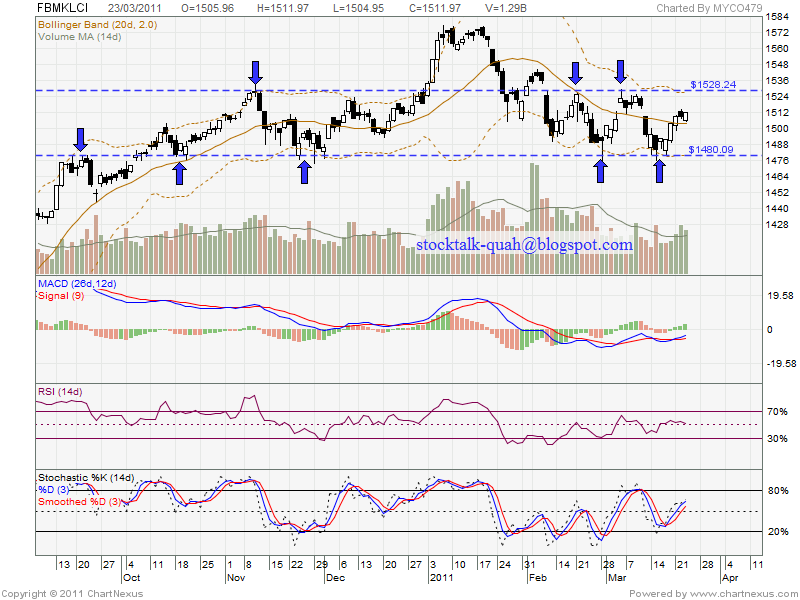 FBMKLCI currently trade within 1480 & 1528 range. 1480 is current support level. 1528 is current resistant level. MACD histogram & Stochastic %K remain positive outlook. So, it might retest 1528 level soon. 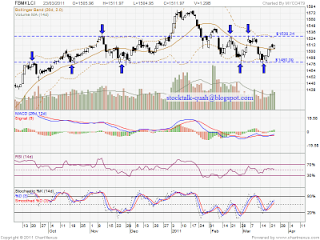 If able break up 1528 level, next resistant would be around 1541 level. However, if retrace down, there is posibility retest bolinger middle band level.